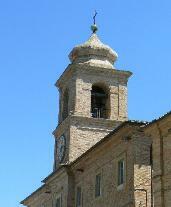 Le Marche Area Guide: Holiday Guide and Accommodation in the Le Marche Region Central italy. foreigners and word is only now beginning to filter through of all this exquisite region has to offer. something never to be missed. an aperitivo watching the beautiful people go by. 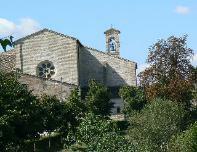 many of the towns in the area is beautiful and picturesque and not to be missed. 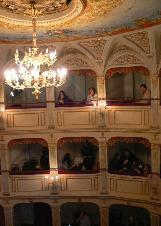 The area is a cultural treat and many towns have tiny restored theatres where plays and recitals regularly take place. The ancient walled provincial city boasts smart shops, cool bars, excellent coffee and fine dining. 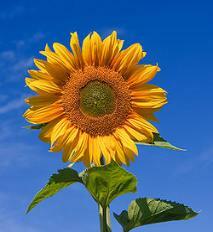 The summer and Autumn are times of celebration of the harvest and there are hundreds of Sagras and Festas to attend. Enjoy a plate of polenta and join in the ball room dancing in the piazza. meats from the wood burning fires are again locally sourced sometimes alarmingly so and tastes wonderfully succulent. about the regions food. The pizzas well there is nothing to say as they are perfect. buttery Verdichios and light crisp Falerios. has a copy always there so that you can get out there and make the most of the treats in store. overlook the beaches. The swimming is safe as are the beaches attended by guards with creches facilities for children. 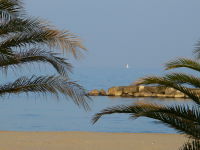 beaches with superb restaurants and top class hotels. These beaches are craggy, sandy or pebbles. and clothes. Designer outlets offer their goods at up to 1/2 off retails price. Tod's, Prada, Hugo Boss, Armani, Roberto Cavalli, Fornarina to name a few. 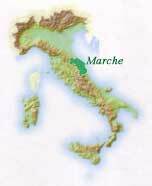 area in the Fermo area of Le Marche. Prada that has recently acquired the other two brands, at reasonable prices compared to those of single-brand retail store. with discounts up to 50%. 20 to 40% compared to prices charged in retail sales. Sale of collections of previous years, inventories and samples. The average savings is 50-80% on items purchased compared to single-brand stores. Hugo Boss in Monte Cosaro close to Casette D'ete home to Prada and Tod's. Smartly turned out Romans swarm to these places on a weekend leaving piled high with boxes. 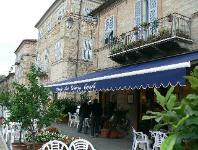 one of the lovely hotels near Numana and Porto Nuovo near Ancona Airport. See Opposite for a short guide to places to stay on the coast. and shops at the lake and apart from August no one there. Trekking and horse riding and quad biking are all available. mountains and see the awesome plain where lentils are farmed. Go trekking and stay over night in a rifugio. They adore children and greet them with open arms, often literally. the countryside.rch .In a pool.